Turns out the animal world isn't just about lions, giraffes, dogs, cows, and cats. Mother Earth contains many creatures that are just now being discovered by scientists, and not only at the bottom of the ocean. A six-foot long tree lizard and a new African antelope were discovered in the last couple of years. If you're not a scientist, you may find you have some news to catch up on. 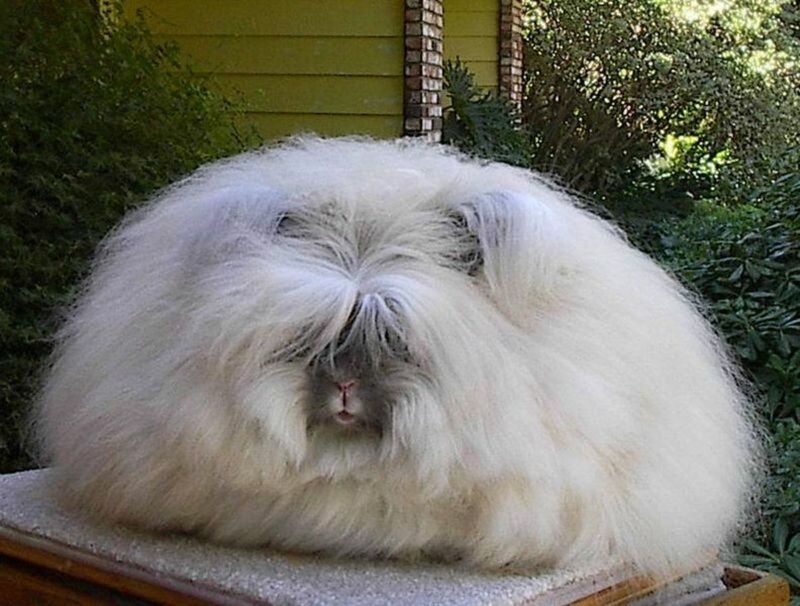 The Angora Rabbit is the product of hundreds of years of domestic breeding for its wool. The result looks something like a cat that has touched a power line, a cotton ball with a face, or a sheep that's been through a straightener. There are actually multiple breeds of this rabbit, and they were very popular among French royalty. I'm curious if Elmer Fudd would want to hunt one of these guys. Check out this site, which takes them very, very seriously. This little guy can be found really, really deep in the ocean. By deep I mean 7000 meters deep. He's not called the Dumbo Octopus because of his intelligence, either. He uses his ears to swim. Why does this guy make the list? Because he's kind of cute, despite being used to swallowing his victims whole. No need to worry, he's only about 20 centimeters long, full grown. Scientists don't know all that much else about him. Golly-gee, that's one ugly creature. What was evolution thinking? You might guess that the blobfish isn't a fast swimmer. It doesn't even have to swim most of the time, as its body tissue is slightly less dense than water, allowing it to float effortlessly just off the bottom of the ocean, waiting for its dinner of microorganisms to float by. How does it survive not being eaten? By not being tasty. In fact, it's inedible to humans. It's still endangered though; overfishing of the ocean bottom leads to these guys being hauled out of the ocean at a fast rate. 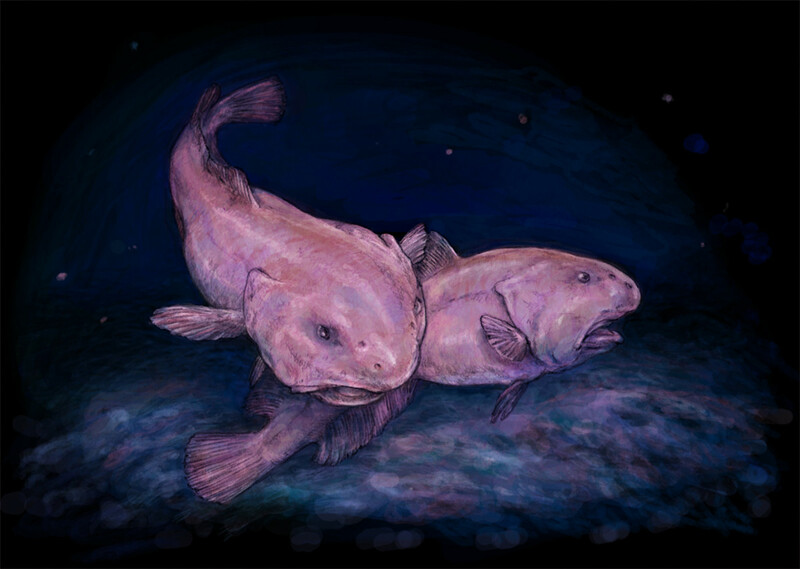 To be fair, in its natural habitat the blobfish might look somewhat less hideous than these shapeless, decompressed victims that have been hauled to the surface; see the artist's drawing below. The kakapo is the world's largest parrot. It evolved into such a large and peaceful bird because of the former lack of mammalian predators in its island home in New Zealand. Among its qualities: it smells weird, barks like a dog, and is portly and nocturnal. 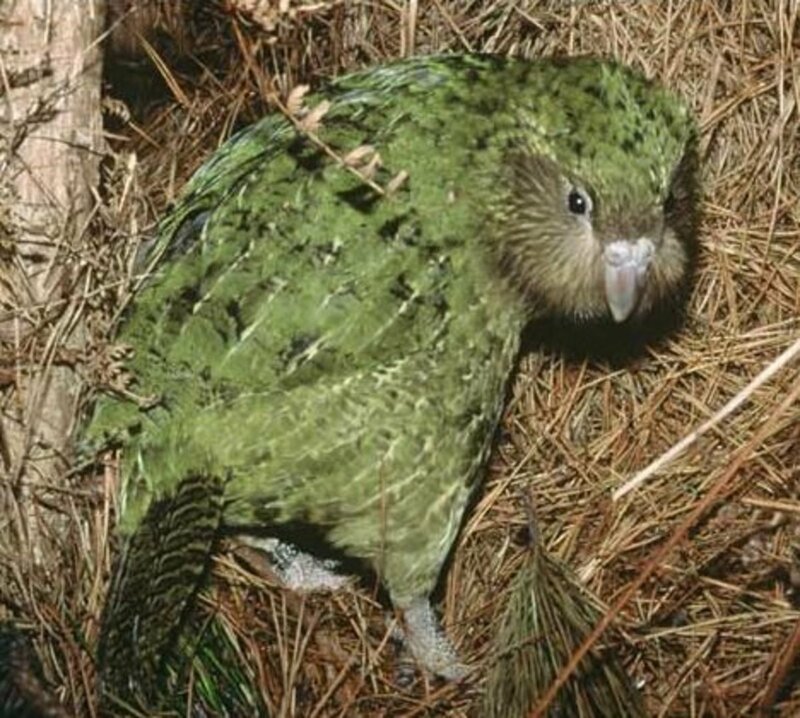 It is critically endangered (there are less than 200 left, and most of these individual kakapos have names). When Europeans brought dogs and cats over to New Zealand, these animals learned the kakapo's smell, and were able to find them with ease. Once again an example of humans messing with nature. Poor kakapos. At least it is fun to say their name. Q: What has three toes on its front limbs, two toes on its back limbs, pale human-like skin, is blind, lives to 100 (some say only 60), lives in caves, and can go ten years without food? A: You should have guessed from all those hints (and the subtitle) ... the olm. 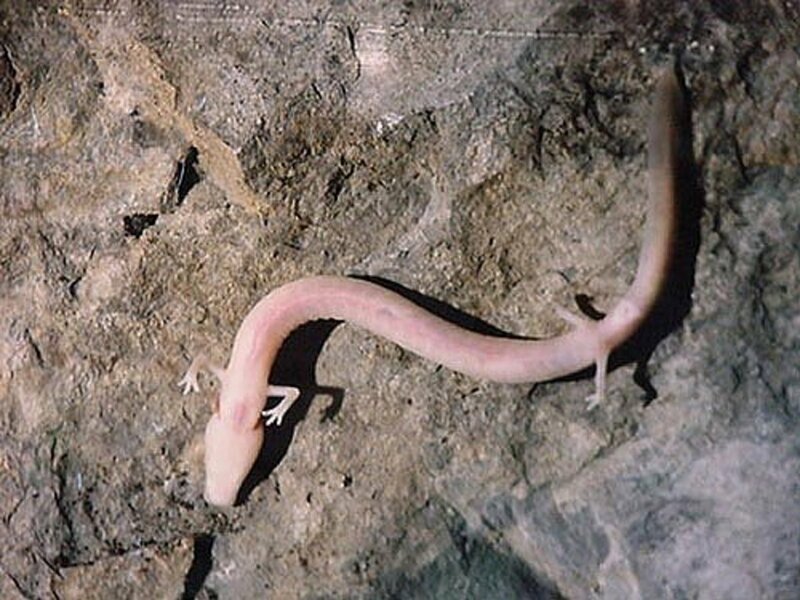 This blind salamander of the limestone caves of southern Europe is not much like any other amphibian. The olm has a great sense of hearing and of smell. Its olfactory system is so well-made that it can sense how many little living things surround it. Many a fisherman became a believer in sea monsters after catching one of these creatures ... just check out the picture above. This South American freshwater turtle makes the list because he looks like a tank. The matamata looks bulletproof, fireproof, radiation-proof, and toughest of all, child-proof. I'm not sure about any of those claims though, as I didn't run into any support during my research. 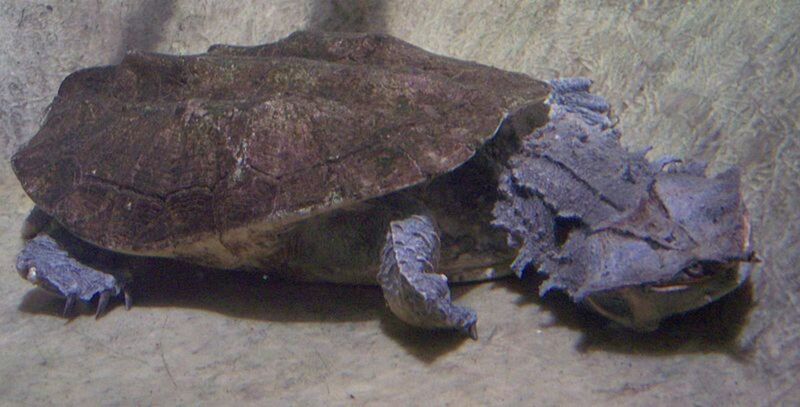 Though the shell and head look extremely tough, and probably are, they are meant for camouflage; the matamata is said to resemble a chunk of bark with dead leaves. From above, he would be very hard to see sitting on the bottom of a creek, and also a nasty surprise if you stepped on him. I say this as a person afraid of snakes and spiders. I can't imagine how the person who discovered this river monster felt. The barreleye in the video above is one of the few ever seen alive with its distinctive transparent head. Although it has been documented since 1939, in early specimens nets or lines had pierced and deflated the fluid bubble that makes this fish so unique. The transparent head works like a cockpit in a fighter plan. The fish can rotate its eyes backwards and upwards to see prey and predators. Useful, eh? It also is one of the few animals on earth that can put its anatomy on display without dying. Too bad it dwells in such deep water, or else I'd buy an aquarium for one of those things with my HubPages earnings. Tarsiers are interesting creatures.These little guys grow to be a whopping five inches. They eat insects and have been known to jump from tree to tree and eat birds. That's right. 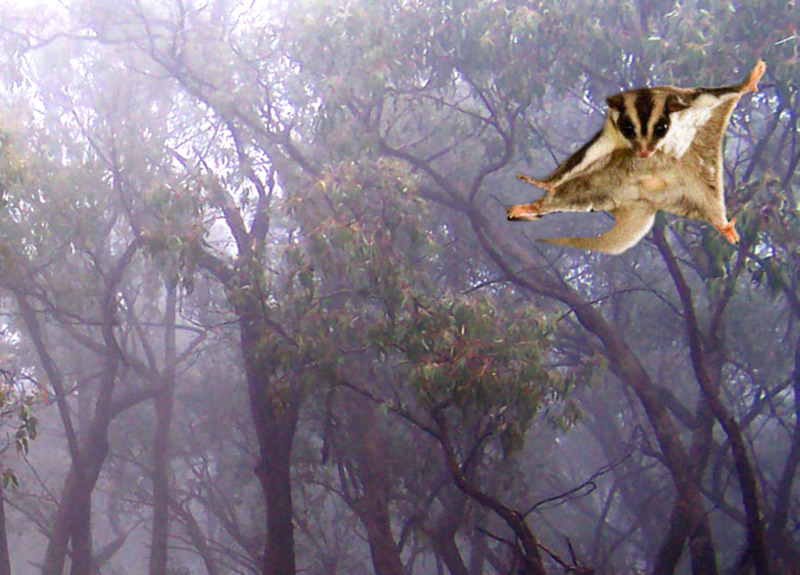 They're nocturnal, and move very, very fast using their bony fingers and long tail. Females usually have about one little baby tarsier per year. What else is unnatural about these creatures? They can twist their heads 180 degrees like an owl. If they were any bigger, I'd be terrified of them. This once again proves that Mother Nature has more creativity than science fiction writers. I couldn't find much information on flying squid, because people have been mistaking them for flying fish. Only within the last 20 years was the flying squid seriously talked about in academic circles. If you readers have been on the water much, you know that flying fish just zoom by and it is hard to distinguish their finer features from a boat. 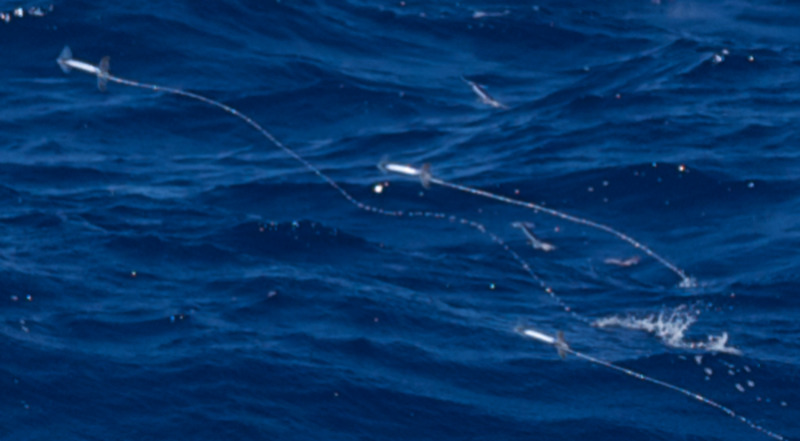 Flying squid are even rarer, and zoom by just as fast. Scientists recently confirmed that there is a flying squid known as the "red" or "neon" flying squid. But it's blue. We don't know how they jump out of the water, or why, or apparently even what color they are. More research needs to be done on these things. Darwin's Bark Spiders were a recent discovery (2009) for the world at large; here are some pictures and discussion (in National Geographic) from the scientists who first documented them. Of all these creatures, they mystify me the most. A couple of facts: First, their silk is much stronger than any other spider's silk that has been studied. It is 10 times stronger than Kevlar (that stuff in bulletproof vests). Second, and probably related, they somehow string their webs across, not along, rivers...don't you have to have two people to string something across a river? Maybe they swim across, who knows. 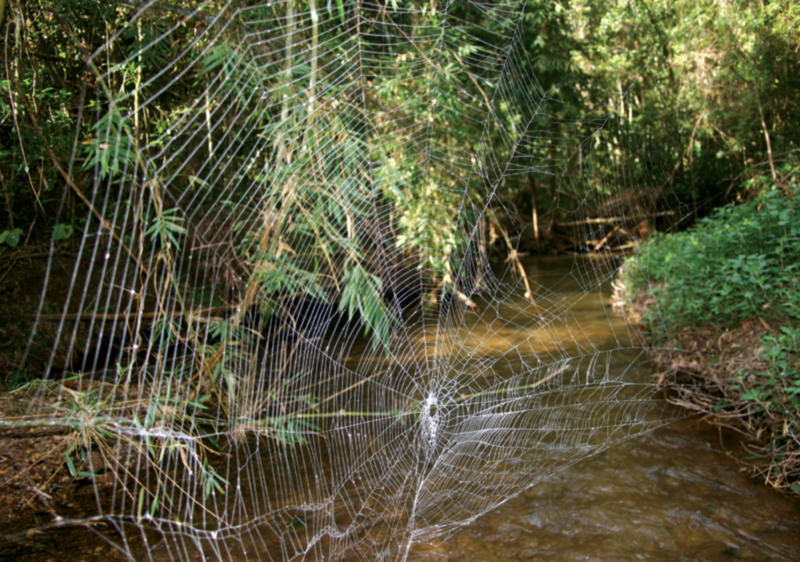 Their webs are the biggest and strongest spiderwebs known. The best way to study them is by boat because that's the only way scientists can analyze their behavior from up close. 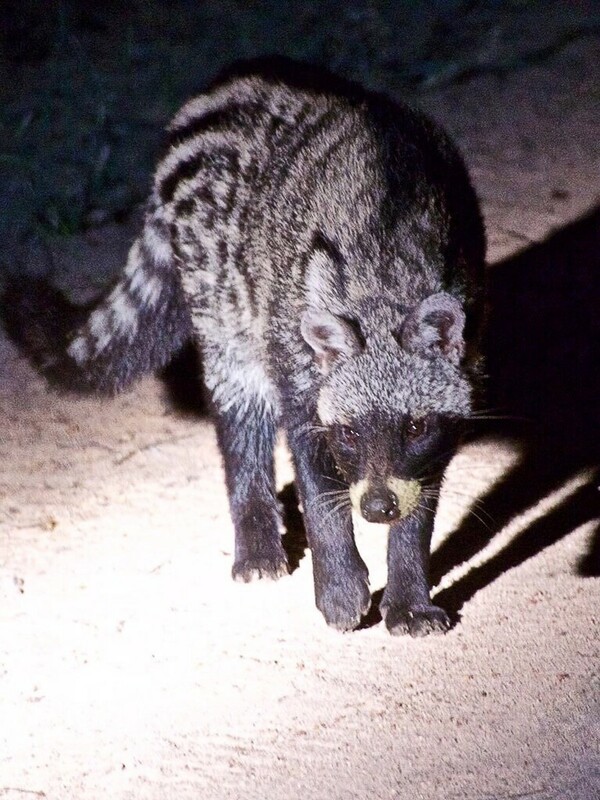 Much about them is still unknown, because for a long time only local Madagascar rangers and tour guides knew about them. They eat bees, dragonflies, and mayflies (up to 32 mayflies have been found in one web at a time). People wonder if their webs can catch birds, too. The Mimic Octopus was discovered in 1998, in shallow, murky Indonesian seas. What makes it special? Watch the video and see for yourself. It can mimic many underwater species, and mimic them very well indeed. In one example, it mimics a crab so that real crabs thinks that the octopus is a mate. Only then it devours the (probably shocked) crab that is trying to mate with it. Nature is a cruel, cruel beast. Imagine laying down with a hot date you picked up at the bar, only for it to turn into a ravening grizzly bear waiting to devour you. Ugh. In another instance, the mimic octopus tricks one of its predators into thinking it's a snake by burying six to seven legs in the ocean floor. The snake that it's mimicking, by the way, preys on the fish that preys on the octopus. Extending the metaphor from before, one could say that is basically the same thing as your Mcdonald's chicken strips turning into something that looks like a ravening grizzly bear waiting to devour you. Smart, eh? I'd like to bring up another point. At times I've discussed the idea (pardon my lack of sources and extended use of parentheses) that one measure of a species's intelligence might be how well it survives over very long periods of time. Of course many people assume that humans are the most intelligent species. A very strong case can be made for that. However, as a purely hypothetical thought experiment, let us imagine that humans make weapons that, hmm, well, might be able to destroy entire cities. Let us further posit that humans might use this superweapon on each other in the course of human disputes over political ideas. 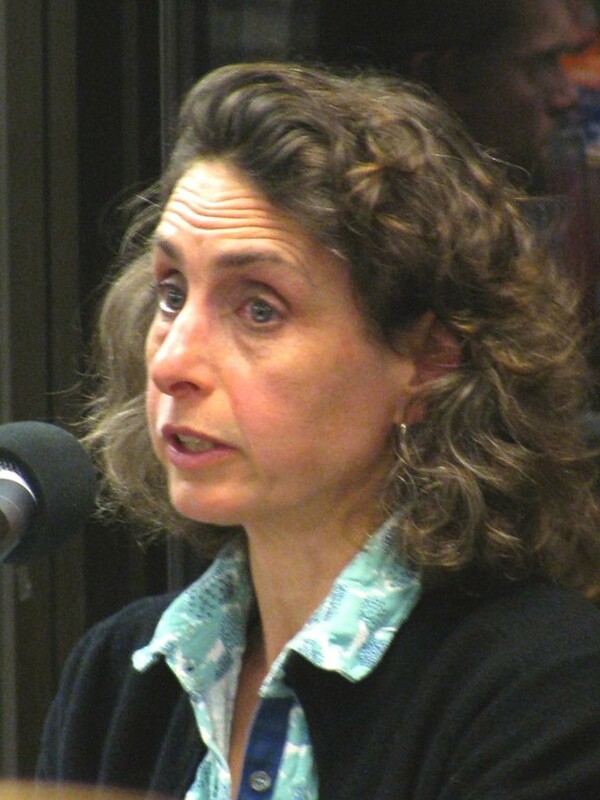 In this hypothetical case, the world could be turned to ruin, and humans essentially wiped from the face of the planet, along with many other poor animals who got in the way. This scenario is not entirely inconceivable; let's face it, we've ruined many many natural habitats doing our thing and karma is not really on our side. 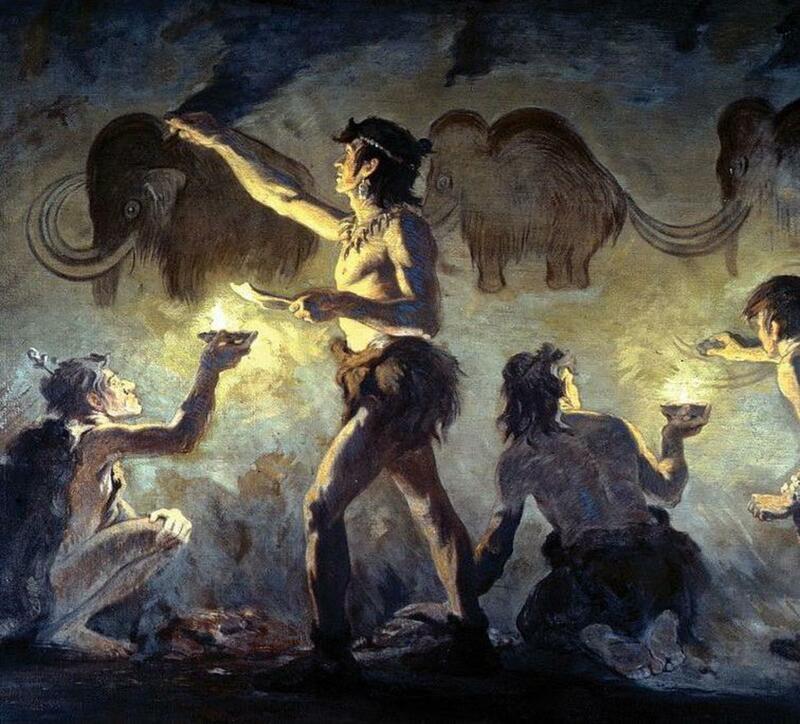 Consider also that humans as we know them have been on the face of the earth for MAYBE two to three million years. Our newly discovered friend the mimic octopus, however, has most likely been happily doing his thing for millions and millions of more years, safely and discreetly at the bottom of the ocean. So—humans are smart enough to create a weapon of incredible power, and some other cool stuff like the drive-thru, but dumb enough to blow ourselves up because we don't know if we like communism or democracy better. The octopus is smart enough to mimic at least five or six different animals, and also likely smart enough to live to see its great-great-great-great-(x50)-great-grandchildren. Which is smarter? Is this a valid arguement: that octupuses (octopi, if you prefer) might be more intelligent than humans in certain aspects? Yes, I am convinced that the octopus might be smarter than I am in certain ways. The octopus is not driving around in an eco-friendly car. I am smarter. This all technical bull mularky that I don't care about. I have trouble remembering what I ate for lunch. The octopus is completely smarter than me. Interesting animals. I had two angora rabbits a long time ago. Thought I would breed them and spin the wool. Not as easy as it sounds. This is awesome! I would have never imagined there was such a thing as a poofball rabbit or flying squid.. We need to keep these creatures safe and protect them at all costs! Even you, blobfish. Oh my gosh so amazing!!!!!! these are interesting animals but the blobfish looks weird. 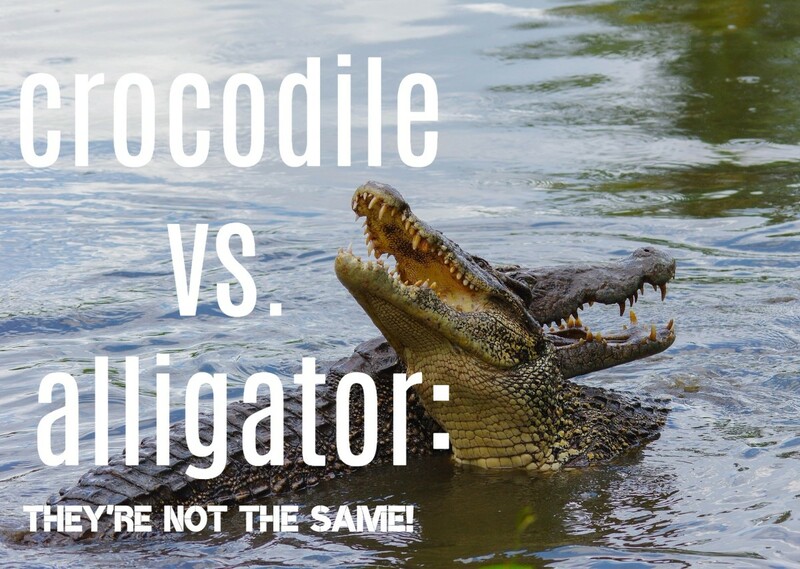 Can you do the 5 main differences between alligators and crocodiles, please? You neglected to mention that octopodes/octopi/octopuses (all of which are correct) are believed to have been the first actually intelligent (as in probably conscious) lifeform. Early octopi evolve as much as 400 million years ago, and exhibit astonishing intelligence. So maybe they, are actually the REAL brainchild of the creator, or masters of the universe. You never know. I can deny it Nathaniel, don't treat our religion so rudely. I respect those who don't believe so respect us! 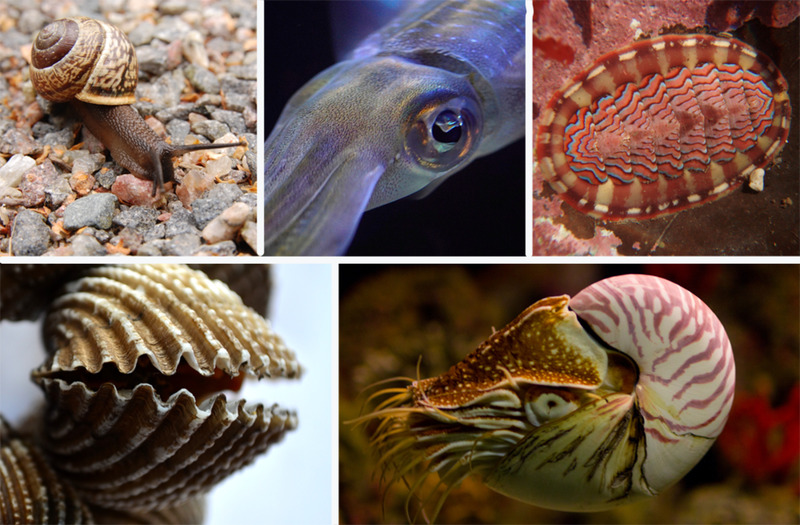 I specially loved the mimic octopus!!! They are so amazing. Please, Blake Atkinson (the author) please make more stuff like these. This mimic octopus helped me very well for my homework about making a speech with the topic of explaining the most interesting animal. Thank you so much!! I like the olm. what really suprises me is that it was in a Kirby game made deckades ago. proof that God is the ultamite creater. The tarsier is so cute and wiear. Ain't no octopus smrter than me. Lol. Really, those are Interesting animal !!!!!!!!!!!!!!!!!!!!!!!!!!!!!!!!!!!!!!!!!!!! 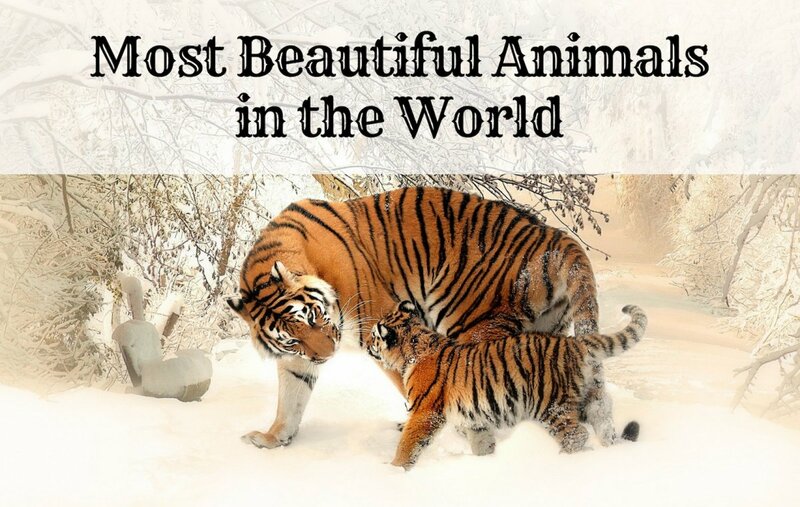 Very interesting to learn about these animal species. Dolphins are also have importance since they behave as friends to human. Many interesting species of birds and animals can also be found in Amazon rainforest. Thanks for this great Hub with valuable information! Thumbs Up! Awesome! 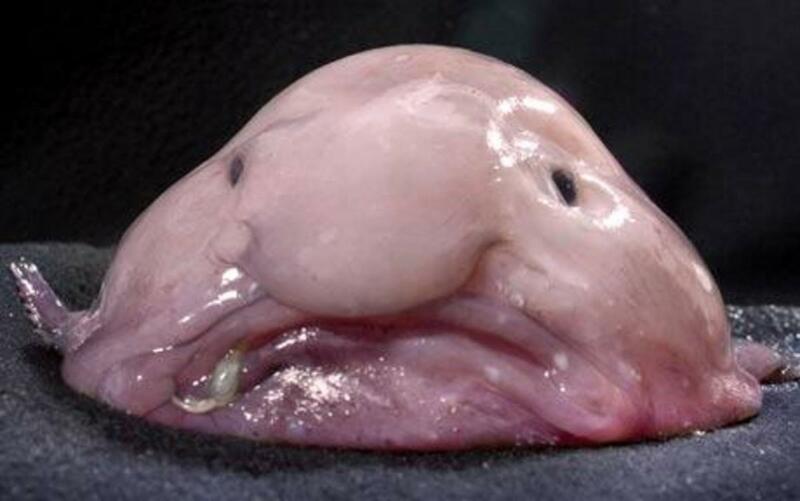 i think the blobfish looks cool but squishy, ugly and on...........................! i was doing an animal report on one of the animals but, i couldn't decide on what to do it on so i came to this website to find an animal that know one has ever heard of so i picked one of the animals from this website! THANK-YOU! for helping me find an animal to do a report on once again THANK-YOU! I agree stuff, the Mantis shrimp is awesome. I'm thinking about doing another article about interesting ways animals catch their prey (my first one of that variety is on Squidoo), and the Mantis shrimp would probably be on that list. Yes, they are indeed interesting and some are really cute, like the dumbo octopus. 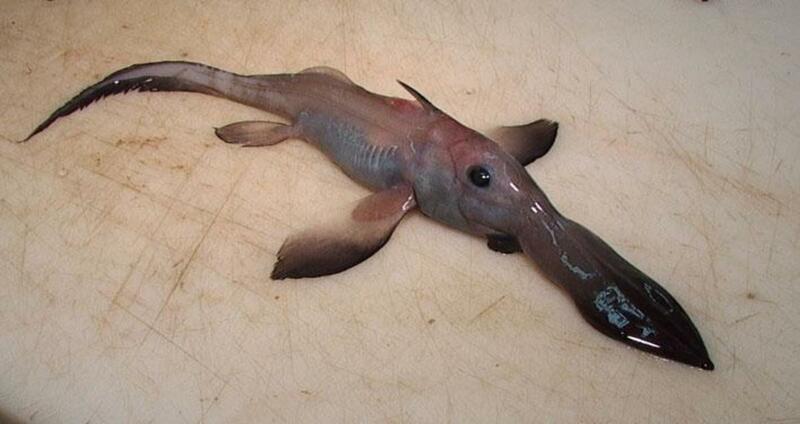 I am eager to watch a vid of that swimming with its ears flapping. The matamata turtle looks like a Pokémon creature. Voted up and awesome, funny and interesting. This was a fun article to read! 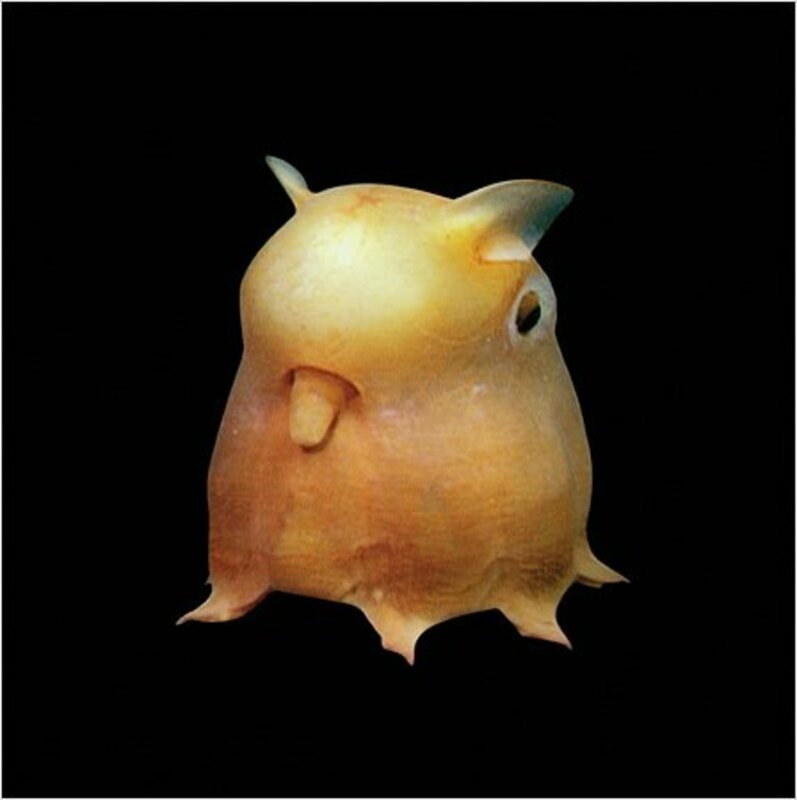 The Dumbo Octopus looks like a toy for some reason, like the avatar of the pacman game. The dumbo octupus was one of my favorites along with the Tarsiers; they're just both so adorable. Nonetheless, it is impressive what that spider and the mimic octopus are capable of. i like the different animals.these animals are very beautiful and wonderful.tnx for sharing. 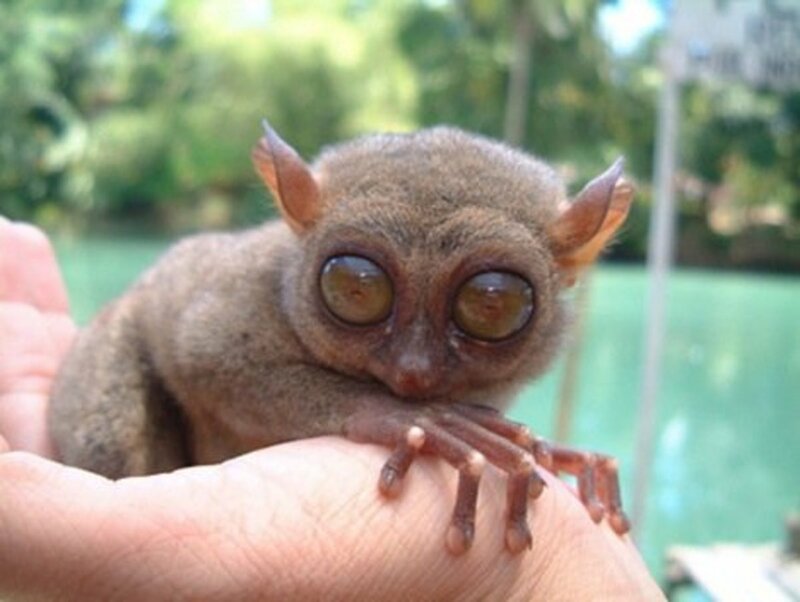 Love the tarsier. Doing a report for school. Thanks! only a mother could love those animals!!!!!!!!!!!!!!!!!!!!!!!!!!!!!!!!!!!!!!!!!!!!!!!!!!!!!!!!!!!!!!!!!!!!!!!!!!!!!!!!!!!!!!!!!!!!!!!!!!!!!!!!!!!!!!!!! they are ugly. Loved the article. Just up my alley of interest. I agree with you I would love to buy an aquarium for the Barreleye. These animals are amazing and so interesting. Wow ! Never seen a Tarsier before , great hub ! Another great hub thank you. I actually kept angora rabbits as I am a spinner and I have a soft shawl i made from their wonderful fleece combings. Love your style. Howabout doing a series on weird stuff and publishing a book, maybe an ebook? Keep em coming! Thanks for the link - even slugs can be beautiful! Thought you might like it, I sure did. Interesting stuff about interesting creatures; especially the ocean dwellers - we're discovering more and more oddball creatures in the ocean's depths, and they seem to be getting odder with each voyage of discovery. Thanks for sharing. I like the way you wrote about these animals. I know about them or I am familiar with most of them since I am a zoologist. The tarsier is actually endemic to an island here in the Philippines and I have held it just like that in your picture. Check out my hub on Bohol. Thanks Nathaniel! Yeah I'm always afraid to piss people off though because it seems many people are touchy on the whole creationist/evolutionist split. It's good to see that you read my article so soon after I published it haha. I liked the paragraph about the Olm because it represents a link between snakes and lizards. Take that creationists who deny evolution due to ignorance and fossil/genetic evidence mistrust! Now this is something they can't deny.